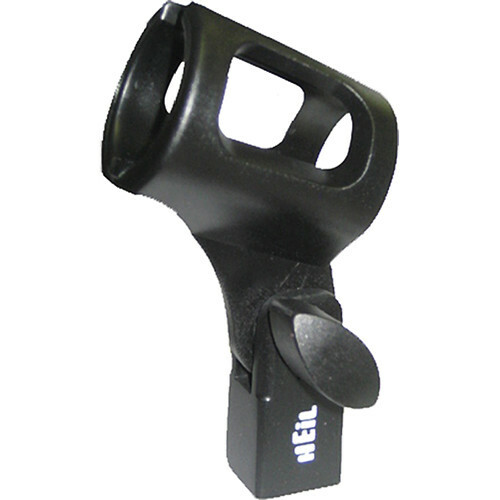 The Heil Sound SM5 is a microphone clip specifically designed to hold the PR35 handheld vocal microphone. Made of flexible plastic, it features a pivot action for accurate mic positioning and a 5/8"-27 thread to mount onto a standard microphone stand. Box Dimensions (LxWxH) 4.2 x 1.5 x 1.2"
SM5 Microphone Clip for PR35 Handheld Microphone is rated 4.0 out of 5 by 1. Rated 4 out of 5 by Georgew from Just ok The rubbery inserts at the base of this clip remove easily. Not too impressed!! !